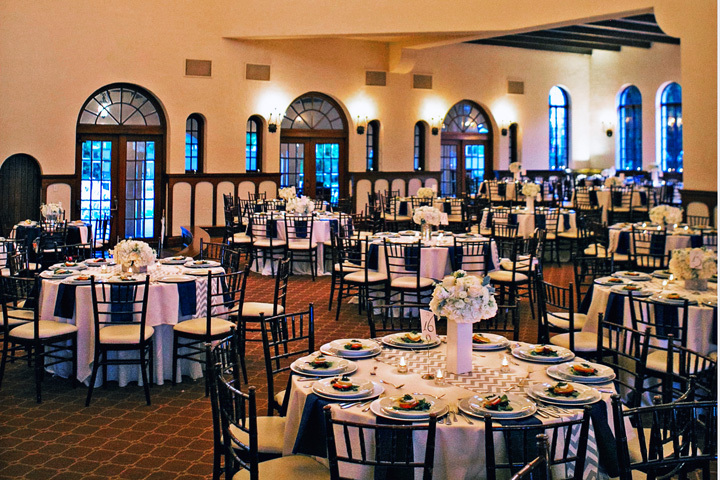 An events facility located in Houston's museum district, The Parador can be rented for weddings, private parties, corporate training events, and seminars. 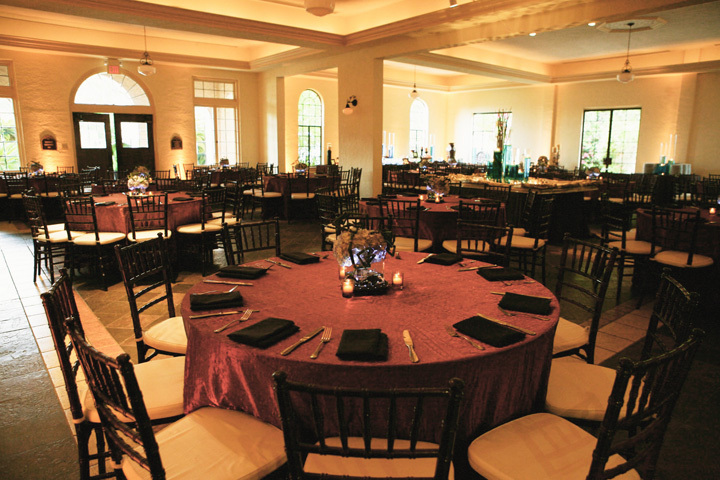 Designated as a Texas Historical Landmark, The Parador is one of Houston's premier social and corporate event venues. The building offers two large adjoining spaces, each with its own courtyard or garden, which can be reserved individually or used jointly to accommodate larger events. 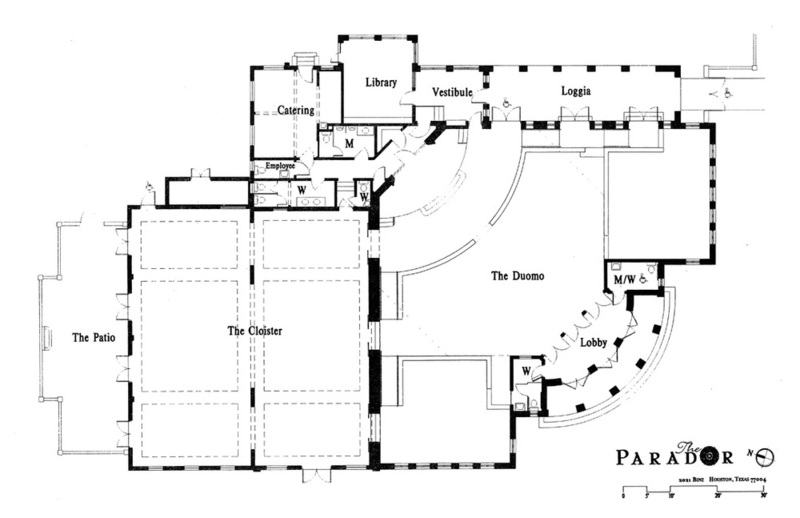 A original architectural rendering of the Parador. Built in 1928, The Parador stands as a testament to the architectural artistry of a distant era. 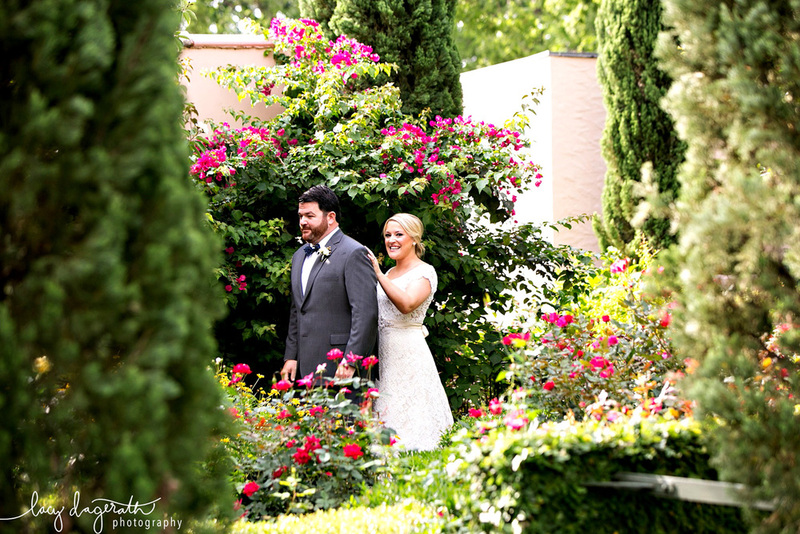 Marrying Mediterranean style with Byzantine detail, this magnificent building is designated as a Texas historical landmark, and is the last of its kind in the Houston's museum district. 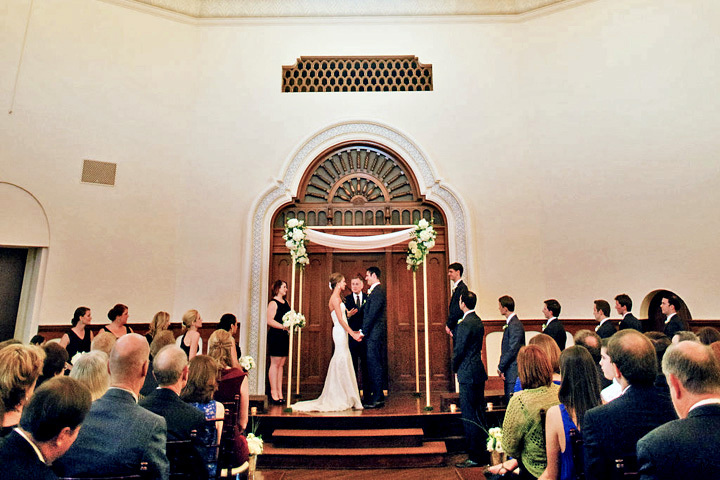 "With its idyllic setting in the heart of Houston’s Museum District, this historic building has all the appointments of a 5-star hotel while at the same time providing an intimate atmosphere for the most romantic of events." The craftsmanship in creating this stunning five-sided structure is evident throughout. Intimate spaces evoking a splendor of yesteryear meet with the grandeur of stately lounges, echoing a place in time and a beauty that is timeless. The Third Church of Christ Scientist served the congregation that had been organized as an offshoot of the growing First Church of Christ Scientist. The structure was designed by J. Rodney Tabor of the Jonas & Tabor Architectural Firm. Inspiring and elegant, The Duomo is the centerpiece of The Parador offering a spectacular setting for over 200 guests. Light gently flows from its soaring thirty-five foot dome, bathing this exquisite space in golden tones. Deep-hued wood underscores the gracefulness of its three-tiered floor. Architectural details paint a picture of magnificence-through its arched doors await a covered loggia with an adjoining garden for guests to explore. Under its soaring thirty-five foot dome, over 200 guests can be accommodated on a three-tiered floor for seated dinners and buffets and more for cocktails and receptions. 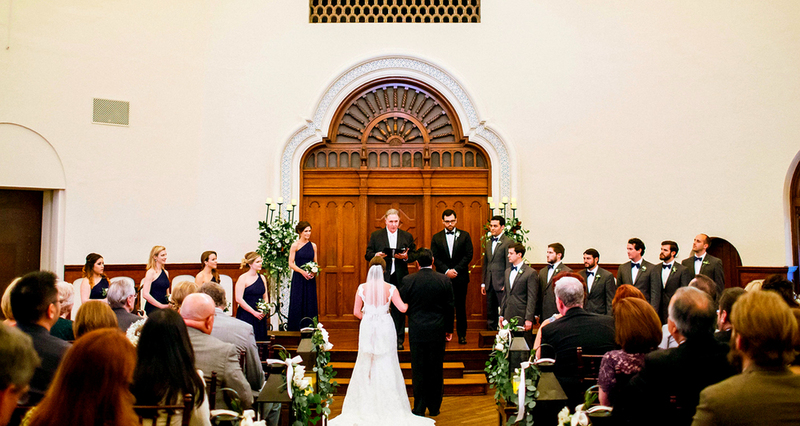 Wedding Ceremonies under the Duomo are magical and can seat up to 330 guests. The Duomo also features a dance floor and raised stage. Opening to a covered loggia, the guests may enjoy exploring the adjoining garden. Quaint and distinguished, The Cloister reflects an understated elegance. Connected is a 3,000 square foot idyllic setting where 200 guests can congregate for refined dinners and unique gatherings. For a change of scenery, The Cloister offers a charming private courtyard where guests can socialize in an open air environment. This 3,000 square foot facility can accommodate over 200 for seated dinners with additional seating for reception available when expanded into its private courtyard. A relaxing stroll through The Gardens reveals the outer beauty of The Parador. An enchanting environment, this stunning garden captures the attention of guests as they follow winding paths through a tranquil setting. Amidst the flora stand sculpted fountains, lending a refreshing aesthetic to the natural surroundings. A picturesque backdrop for an outdoor wedding ceremony up to 220 guests or a dinner party for 50-150. The large garden features a central fountain, lawn, a pavilion and multiple seating areas surrounded by lush landscaping. Please use the form below to make an appointment. Call us at (713) 529–3050 for further information. Anything else you would like us to know before the appointment? Thank you for contacting The Parador! You'll hear from us shortly!